I have been writing up quiet a few posts and pre-scheduling before I set off on my travels (I do hope you don't mind). I really want there to still be content on my blog running alongside my ad-hoc posts if and when I post while I'm away. When putting together my schedule I knew I had to include one last home inspiration post. If you are a long time reader of my blog, you should know that I love homewares so just like my previous Homeware wishlist here is a post filled with ideas and home inspiration that I am lusting over. (Also this will be great inspiration for when I return from my travels). 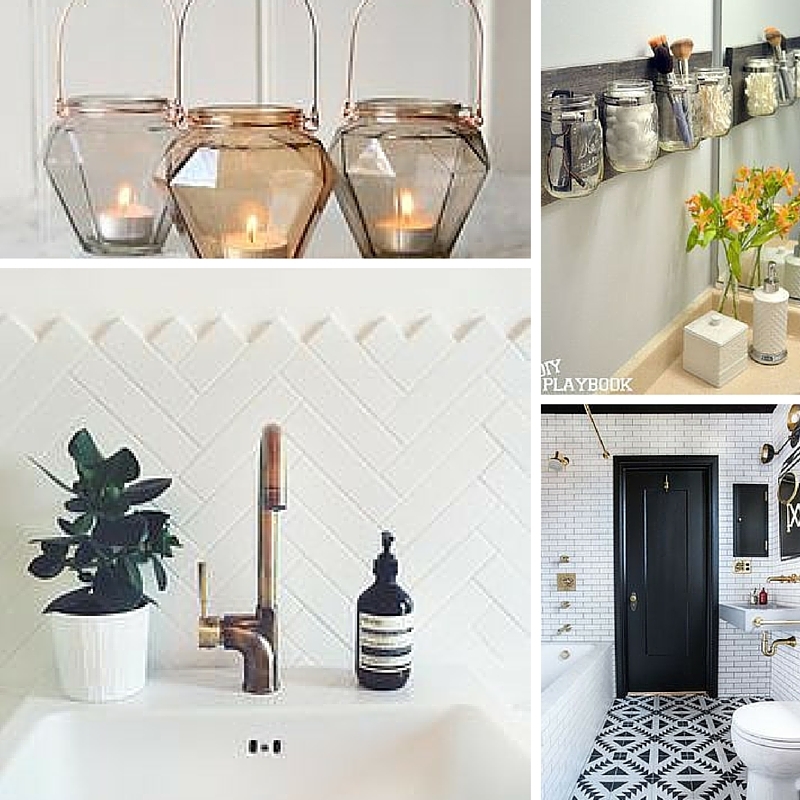 Thinking about inspiration, obviously my go to source is always Pinterest, however I have also been having a look in to some quirky bathroom designs and ways to design your perfect home. 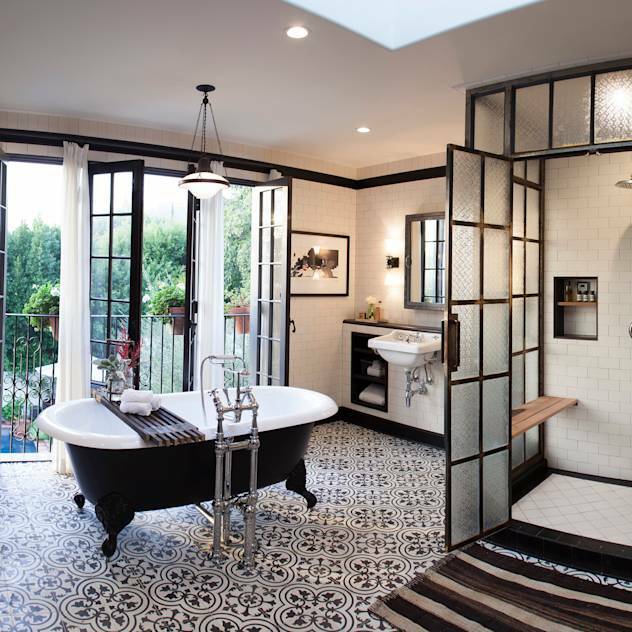 I would love to have a bathroom with a view however I feel like you would need to choose the right house location and as a first time buyer I don't think this will be feasible. In an ideal situation I would love a house that I could fully make over and make it to my taste but I'm sure this would end up being very pricey. I love all the quirky storage ideas such as the above image of the mason jars I think that can look super cute and very effective. I recently saw a bath that had storage built within it! I feel like little touches like that can look very sleek and not cost the world to create. I always love to have a nosey round peoples bathrooms when I go round to their houses, mainly to see what products they use ;). But I also like to know where they buy the homewares. Im always seeking out new place stop buy nice homewares. I loving places like Wilko and Home Bargains recently as you can pick up some really great pieces for such little money! Where do you buy your homewares? & Where do you look for home inspiration? *This post is in collaboration with Homify. Homify is a site full of home ideas and inspiration to design your perfect home.